Where Is THE GRAND BUDAPEST HOTEL? Not Buda? Not Pest! Where is the Grand Budapest Hotel? But where did they film it? 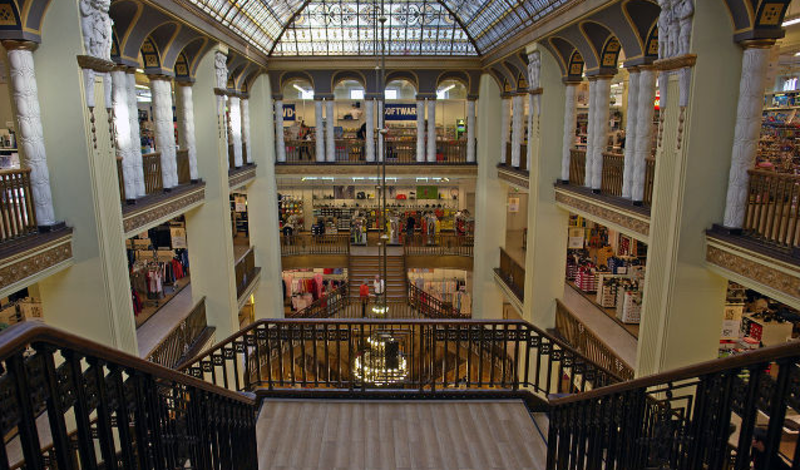 Answer: Mostly inside a real-life building that was once a department store in Görlitz, Saxony, Germany. Görlitz is reputed to be the easternmost town in Germany, on the border with Poland. For the record, it’s 683 kilometers – and several countries – away from Budapest. Anderson said the building he used for the movie’s interiors was pretty much vacant, after the department store had gone bankrupt. The economy in Görlitz isn’t great, although it has been enjoying its new-found fame as a movie location and tourism stop for movie fans. The city hall building’s center section exists, with its gingerbread house style roof crown. But the rest of the rococo facade is added, like frosting on a cake. For instance, the matching end sections with the parapets on the corners of the building aren’t really there. A computer added them. The front entrance of the hotel was a plywood box built by the prop department and grafted onto the real building. There are no alpine-style mountains anywhere near Görlitz (or Budapest). No craggy rocks with stags perched upon them, and no bridal veil-style waterfalls. But the tableau that Anderson creates is such an indelible fantasy that makes you want to believe it is real. 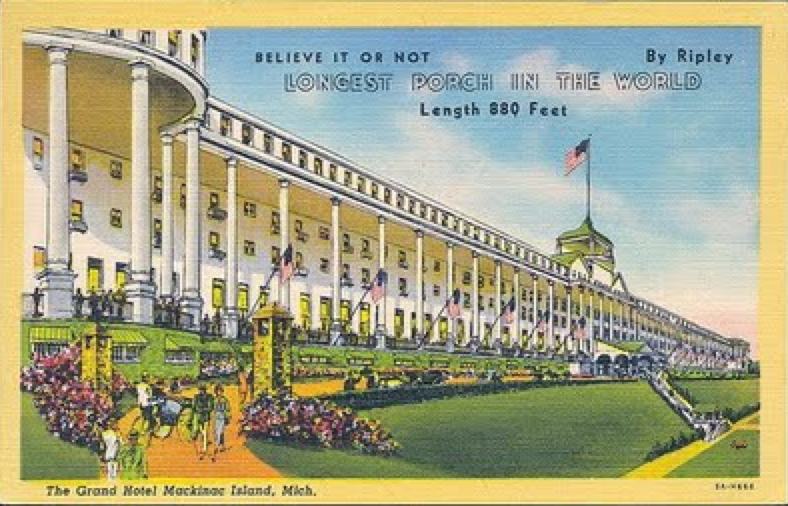 And maybe there is something eerily similar, to be found someplace – on some old linen postcard, or an art nouveau or art deco luggage sticker, with saturated pastel coloring – declaring: “Greetings From The Grand Budapest Hotel”. Fact is, there are buildings, and hotels, and snow-capped Alps and all those things, to be found in almost every resort town, all over Europe. (For instance, doesn’t every alpine getaway have a “Hotel Belvedere”?) It’s that all those features Anderson that conjured up don’t all exist in one, particular, spectacular grand dame of a hotel. And many of the great old hotels that could evoke a comparison to the Grand Budapest are falling into disrepair, closing, and being torn down. Pity. And I guess that is the point the movie tries to make.